What to do if Updates and Servicing is stuck in a state of Downloading ? | just another windows noob ? Note: This is not supported by Microsoft in any way. Therefore use at your own risk. It worked for me in my LAB, your mileage may vary. 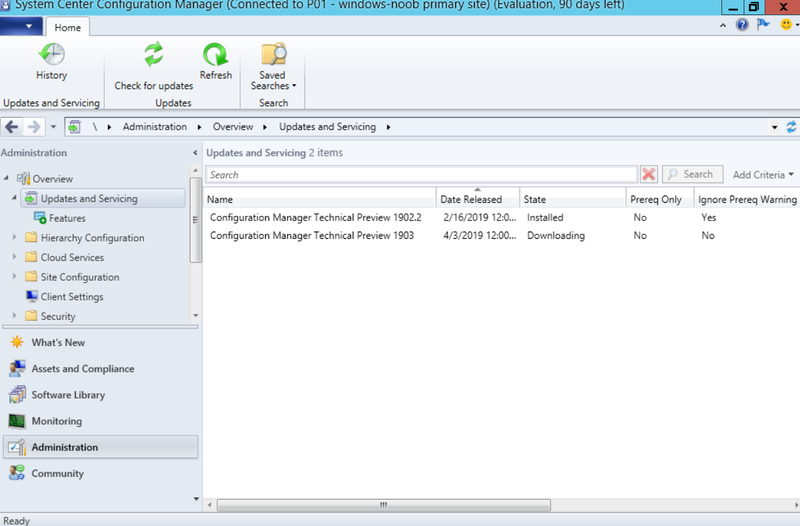 System Center Configuration Manager Technical Preview 1903 is out and I couldn’t wait to try it (as one of my uservoice items is implemented in it), except I had to wait (and wait…..and wait…) as the update refused to download. After the update initially appeared in Updates and Servicing, the 1903TP update started the download automatically but remained in that state (Downloading) for hours (6 retries over about the same time period). This is what greeted me for hours on end. It seemed that Updates and Servicing simply retried the same download and came to the same conclusion each time. 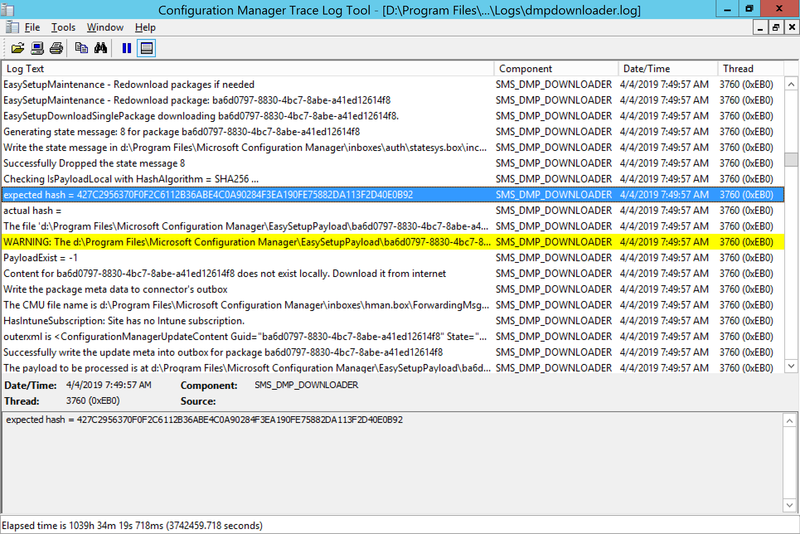 WARNING: The d:\Program Files\Microsoft Configuration Manager\EasySetupPayload\ba6d0797-8830-4bc7-8abe-a41ed12614f8.cab signature could not be verified. This warning repeated itself for 6 hours. So I had to try something. 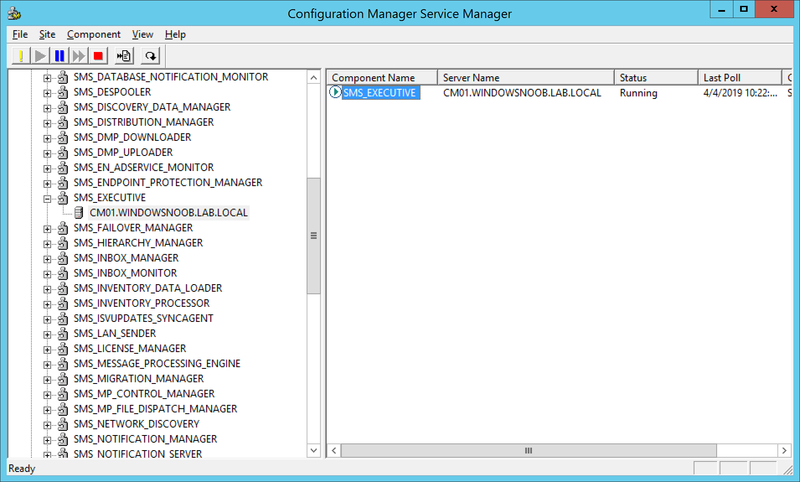 I tried stopping the SMS_Executive component using Configuration Manager Service Manager, this tool is available in the Monitoring node of ConfigMgr. I hoped that simply restarting the SMS_Executive component would convince the download to leap into action. Tip: To use this tool, click on the component in question, then click on the yellow exclamation mark to query the state of the component. If the component is listed as running, click on the red box to stop it. Once done, restart the server or click on the green triangle to restart the component. Restarting SMS_EXECUTIVE didn’t fix the downloading issue. Restarting the server did not fix the issue. So next I got creative, as the dmpdownloader.log file was complaining about the signed cab (thanks for pointing that out Paul), I once again stopped the SMS_EXECUTIVE service but this time navigated to the EasySetupFolder folder on my server here. in there was a cab file and a corresponding folder. 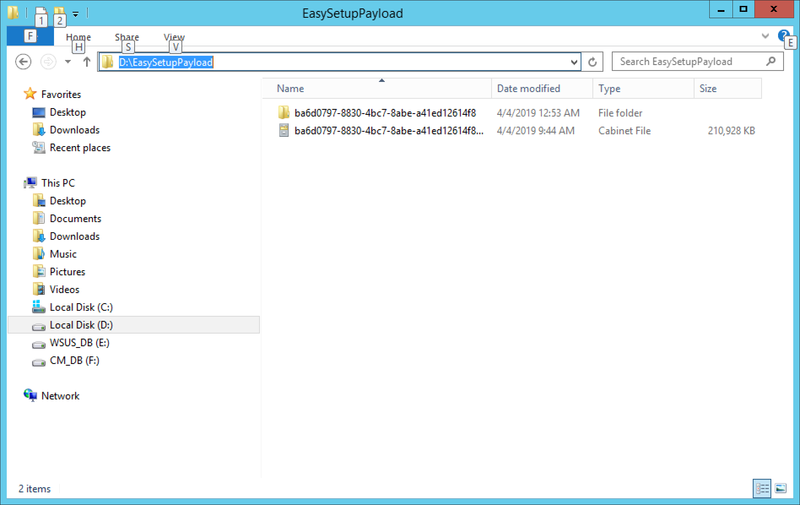 I cut those files and pasted them somewhere else for safe keeping (d:\EasySetupPayload) in case I needed them later. Next, I once again restarted the SMS_Executive component. This time I could clearly see (from Networking performance in Task Manager) that ConfigMgr was busy downloading the update at full throttle. And after 30 minutes or so it changed from a state of Downloading to Ready to Install. Side note: Please vote this related uservoice item up ! please see my next post where I’ll go over installing the update. This entry was posted in 1903, System Center Configuration Manager Technical Preview. Bookmark the permalink. 1 Response to What to do if Updates and Servicing is stuck in a state of Downloading ? 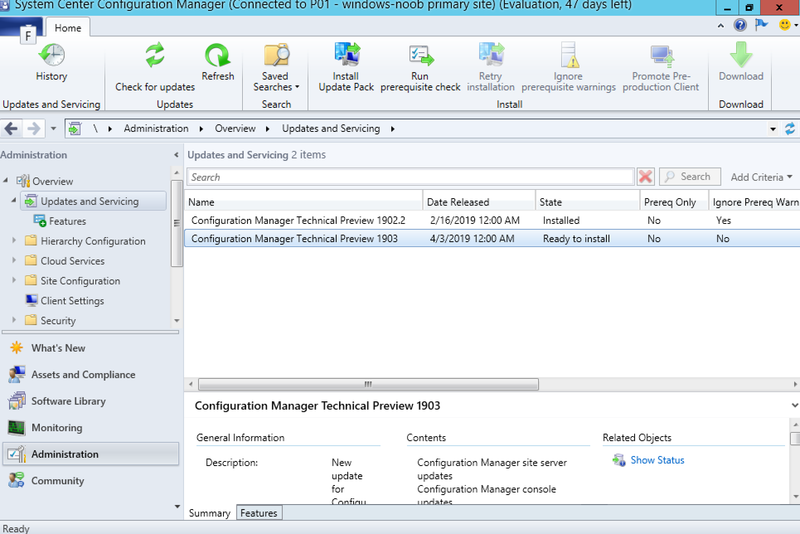 Pingback: System Center Configuration Manager 1903 Technical Preview is out ! | just another windows noob ?